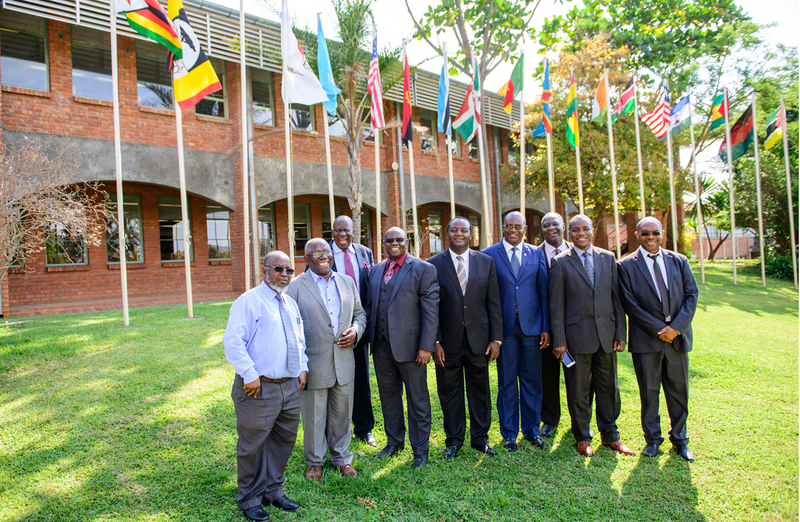 The Task Force on Transformation of Higher Education for Industrialisation and Modernisation converged at Africa University (AU) Mutare Campus for a high impact meeting targeted to chart a roadmap for the advancement of higher education in Zimbabwe. The meeting was in direct response to the need for strengthening the role of Zimbabwe-based universities towards contributing to technology creation, skill’s capacitation, job creation and collaboration to impact the performance of industry for both the public and private sector. The meeting took place on Friday 29 September. In his address, Chairman for the Task Force Prof. Levi Nyagura, stressed the need to reorient universities to deliver on development through the revolution of present curriculums. “The aim is to find innovative ways of doing business, working from various levels across multiple sectors including local government, ministry departments, small to medium start-ups all the way up to large corporations.” said Prof. Nyagura. It was proposed at the meeting that universities engage in research that is necessary to drive a knowledge based economy where initiatives, programs, business activities and policy formulation processes are informed by big data and analytics. This would be achieved through universities building knowledge banks to inform critical decisions which enable sustained growth of the Zimbabwe’s industry. Also discussed was the repositioning of universities to be key drivers towards transforming Zimbabwe from a raw-material’s export based economy to an exporter of high-value finished products and services. “Universities need to engross in applied technical research and approaches to realize economic gains.” said AU Vice Chancellor and committee member of the Task Force, Prof. Munashe Furusa. He reiterated Africa University’s commitment and deep involvement in the transformation agenda which it has already begun executing through utilization of its research units. The meeting of the Taskforce on Transformation of Higher Education for Industrialisation and Modenisation concluded with a guided tour of the University’s research, innovation and business incubation facilities. 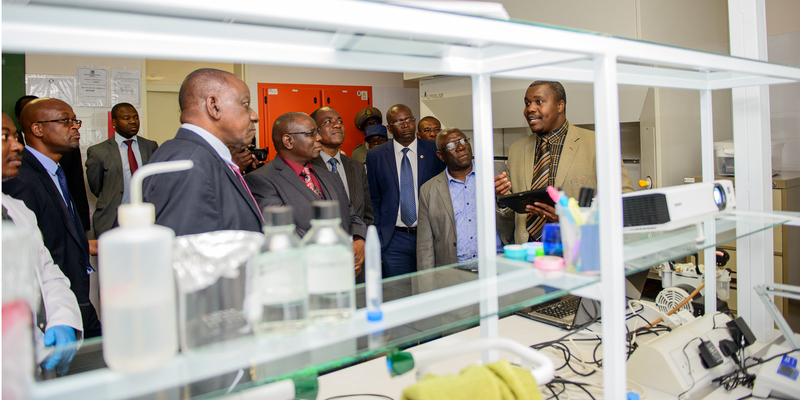 One such facility visited was the malaria research unit that is providing valuable real-time data to the Ministry of Health and Child Welfare for its national programme on malaria. The research is being implemented in partnership with other collaborators and global experts. The tour concluded with a visit to the i5 hub which is the University’s innovation and business incubation hub. The i5 hub, which is Zimbabwe’s first ever university developed hub, facilitates and accelerates the development and commercialization of high-impact solutions to transform business and improve the quality of life in Africa and beyond. It is built around five pillars (five is) of the solution development value-chain which are Ideation, Innovation, Incubation, Intellectual Property and Industrialization. said Prof. Furusa while talking to the new innovation and business incubation hub.